Desavery products are strategically formulated with a minimum but targeted approach: a few excellent products delivering wonderful results for both your skin and your mood. Apply SMOOTH Hyaluronic Serum to a clean damp face. Our hyaluronic acid has a low molecular weight so it's easily absorbed into the top layers of the skin where the compound acts like a sponge, holding many times its weight in water and leaving skin smooth and soft. Once its dry apply one of our oil serums: STELLAR (PURE or LIT!) which creates a barrier preventing any moisture loss. We have two SMOOTH formulas: both are vegan, plant-based pure hyaluronic acid and there's one for each of our oils. Choose Clary Sage and Bergamot if you like STELLAR. Choose Lime and Geranium if you like LIT! 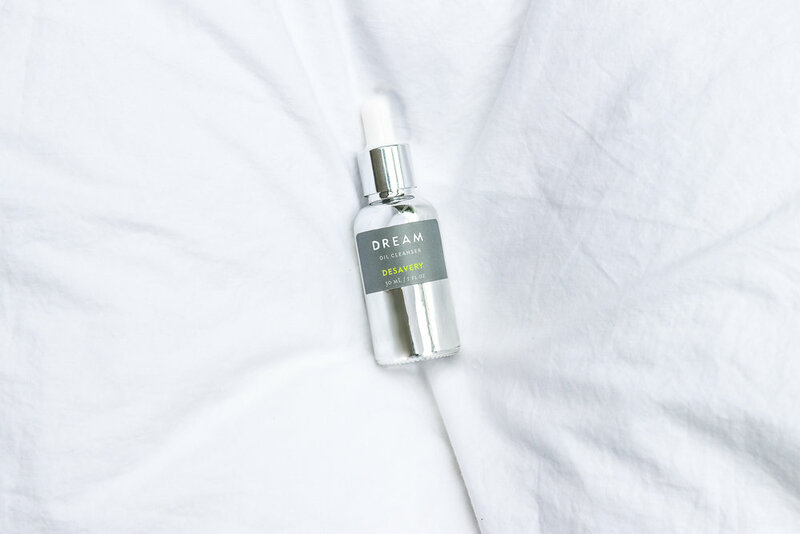 Our daily serum's main ingredient is prickly pear seed oil. This is a remarkable plant oil loaded with the highest levels of antioxidants, lineolic acid, tocopherals (vitamin e) phytosterols, polyphenols found in any plant oil. What does this mean for your skin? It's fast absorbing, brightening and hydrating. It protects your skin from environmental pollution and even repairs UV damage. STELLAR, when inhaled will lower your cortisol levels, lift your spirits and leave you feeling grounded, calm and energised: with clary sage, frankincense and bergamot. LIT! will energise you, put some zip in your mood and have you calm and focused: with yuzu, lime, geranium and white grapefruit. Using oil to clean your face makes complete sense: oil cleans oil. Water does not penetrate oil and that's why many cleansers are so harsh and can strip away all the good bacteria on your skin. Our cleanser is made with softening camellia oil. Massage it into a dry face and then run water over a hot cloth, squeeze it out and gently wipe away all the melted dirt and impurities which are absorbed by the oil. Spikenard was traditionally used as a sedative. It has a sharp but soothing aroma and balanced with ylang ylang, bergamot and rose, this is a real treat and you will start feeling relaxed and calm as you apply it.